What do Matthew Linn and John Escude have in common with the debit card in your wallet? Answer: They are a debit card for some of Shreveport’s wealthy whenever they dream up a new way to tap into taxpayer dollars for their own gain. As voters go to the polls tomorrow, I want to make particularly sure they understand just how they are being manipulated. 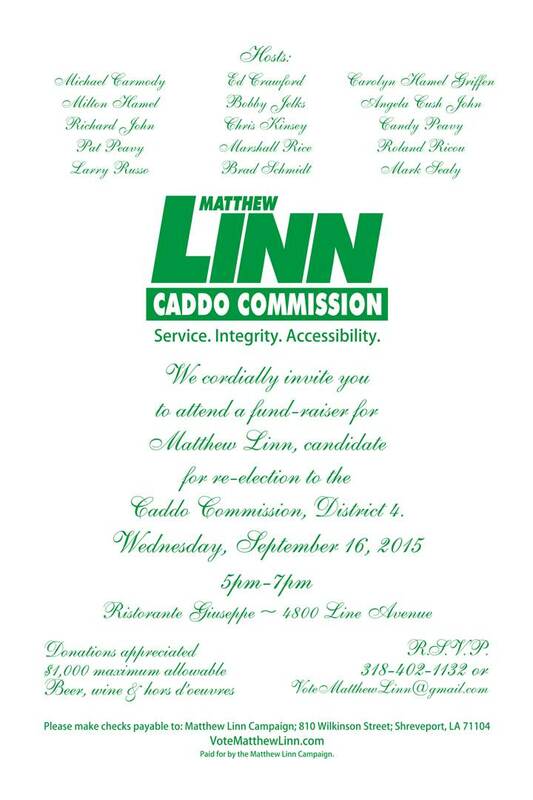 Matthew Linn, John Escude and the host of other incumbent Caddo Commissioners, are not unlike the rest of this areas political class… willing to sell us out, and promise us whatever they think we want to hear. That’s just quick and off the top of the head for anyone following the CPC. Why are many of the wealthiest folks in Shreveport the wind behind the sails of Matthew Linn and John Escude? At least in one case, they are the ticket to the furtherance of their personal wealth at the expense of the taxpayers of Caddo. For those not lucky enough to be able to use taxpayer dollars to initiate great personal business opportunity, allow me to explain. Through the many twisted webs of the Biomedical Research Foundation (BRF), we have gotten a lot of promise of building a better city, without much delivery. The BRF created a business accelerator program called EAP (http://eapla.com/). The EAP also raised funds of just over $2.5m for an Angel Fund. Much of the funds came from wealthy Shreveporters like the ones backing Linn & Escude in the attached fundraiser invitation (Linn) and mailer (Escude). It is noteworthy that unopposed candidate for Caddo District 9, John Atkins, sat on the Angel Fund board and is also one of the few top Linn campaign donors. While it is fair to say that it is too early to see if the results of this Angel Fund investment will pay off, we at least know that we are paying WAY too much for the EAP. According to this KTBS article, local government bodies chipped in $750,000 to the EAP for their development of entrepreneurial startup businesses in the Shreveport area (http://www.ktbs.com/story/27626620/program-promises-new-businesses-for-caddo-parish-on-the-publics-dime). Linn, who hopes to be appointed to head up the Caddo Commission after Jan. 1, and the rest of the Caddo Commission chipped in a whopping $500,000 of that $750,000 to pay for the EAP for a single year. For those not familiar with the normal structure of an Angel Fund, the operators of the Fund usually take a fee, generally 2% to 2.5% of the total raised. This fee would pay for the analysts and “experts” who work to vet companies applying to get money from the Angel Fund. Those of you doing the math, understand that a fund of around $2.5m would afford a fee of around $50,000. (Learn more about Angel Funds here: http://www.forbes.com/sites/tanyaprive/2013/03/12/angels-investors-how-the-rich-invest/ and here: http://www.angelblog.net/fund_structures.html). Nobody seems to question the thought process of the Caddo Commission giving roughly TEN times the amount to the EAP (and that is just for ONE year). Meanwhile “our” Angel Fund, with the wealthy investors’ money, gets the benefit of our tax dollars paying the fee, so 100% of their private money is able to be invested in the businesses brought forth. I am told that the reason for this poor structure is that “other” cities have done this too. Of course, I will leave room for someone to correct me on these specific facts, because not many of us in Caddo Parish actually know or can keep up with much about just what the BRF and those who control it are doing. One thing is for certain though. None of this abuse (another) of our tax dollars would occur without the help of the very willing, bought and paid for, Matthew Linn and John Escude. While you continue to see people praise and fawn over Linn for his eagerness to help during the flood (aka doing his job), remember that behind the scenes, he is flooding many of his backers’ pockets with OUR dollars. 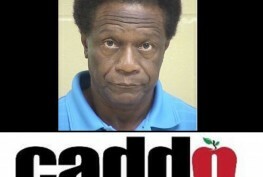 Escude wreaks of arrogance as he tries to claim he has saved Caddo Parish jobs in his clearly misleading advertisements. 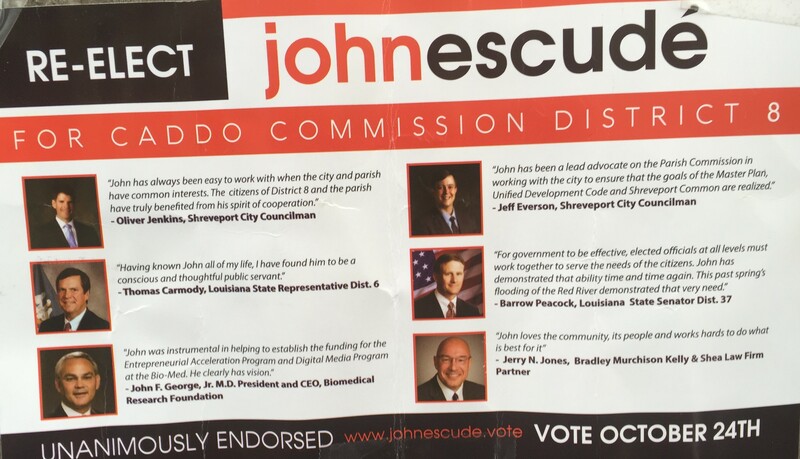 (Meanwhile, BRF head honcho, John George, brags in the mailer that Escude IS the reason for the funding of the EAP… More on that and how it appears that Ryan Wooley’s BlueArx company runs the poorly executed “anonymous” Prevent Shreveport Healthcare Crisis campaign against Willis Knighton). Why is Caddo Parish’s Angel Fund set up in this way when most throughout the country are not? Who dreamed this up? 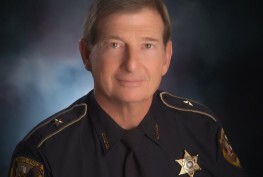 Is Caddo Parish really going to vote for the wealthy folks of Shreveport to keep using public dollars to benefit the few of themselves? That’s exactly what a vote for Matthew Linn or John Escude really represents. You can make a positive difference in this election. I hope you will, and use your vote to demand real accountability. We Caddo citizens who care about each other should unite to use our tax dollars for ALL of us, not just the few who have the most to begin with.